Philippa will be at the SLCC South East Regional Roadshow on Wednesday 3rd February at the Bridgewood Manor Hotel in Chatham. Come and talk to her for a demonstration of our mapping software to see how it can help you manage your land, assets, cemeteries, allotments and more. Thursday 25th and Friday 26th February. Chris will be attending the 10th SLCC Practitioners’ Conference on Thursday 25th and Friday 26th February in Stratford-upon-Avon. We will be welcoming South Petherton Parish Council as a new customer. 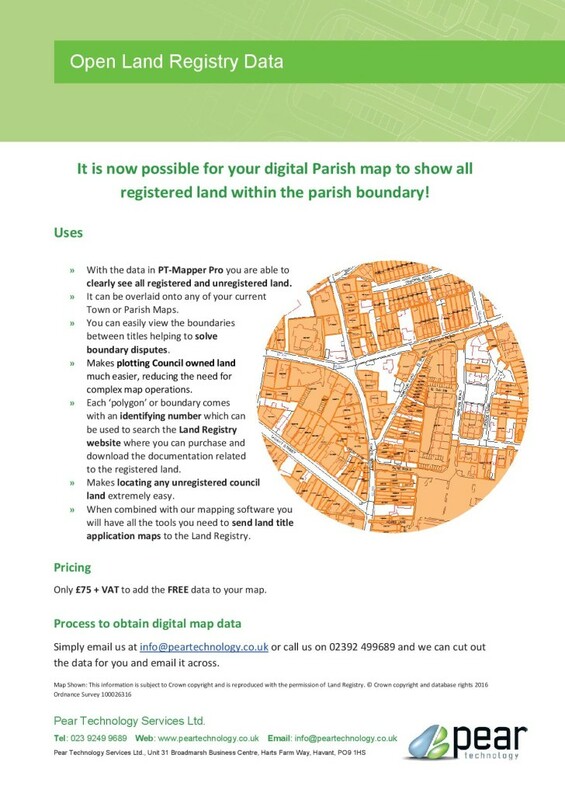 South Petherton bought our mapping software after seeing its many uses at Shepton Mallett Town Council. If you would like a demonstration of our software please call 02392 499689. We are happy to visit your council or to connect to your PC over the internet and provide a quick one-to-one informal demonstration.